Memorial Day Weekend has arrived! The kick off to summer, the promise of lazy days ahead and the end of our school year. I know everyone is on a different schedule. My Indiana pals are done, my NY friends have another month and we are finished next Thursday. No matter when your school year ends, one thing is common - teacher gifts. I'm the worst gift-giver! 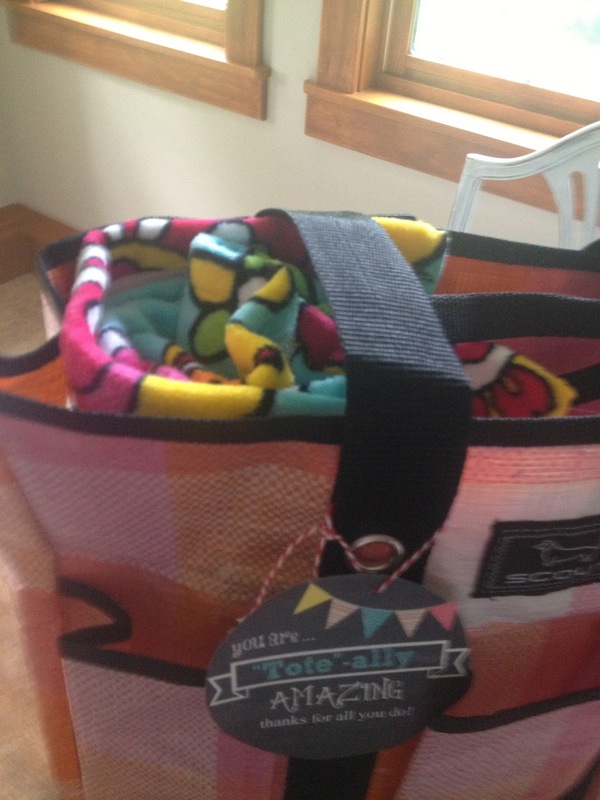 That's why when I saw this post by The Crafting Chicks, I jumped - shopped, printed and now it awaits delivery! 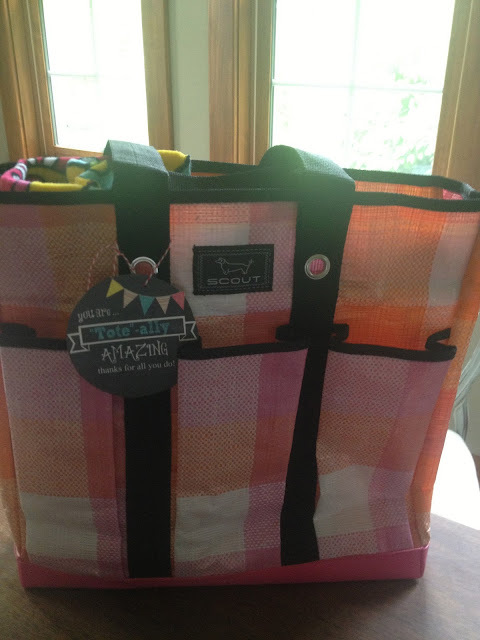 I mixed it up and did a burlap tote (neutral) and included an insulated cup, magazine and beach towel - necessities for summer. Obviously, you can add anything you wish. You can go to the site and print off the tags. Or perhaps it got your creative juices flowing! Either way, the end of school is upon us! PS- I'm off to Erie, PA for a soccer tournament with my 12 year old. Hope it's ripe for picking! Amazing! This blog looks just like my old one! It's on a completely different topic but it has pretty much the same page layout and design. Outstanding choice of colors!